Are you beginning your search for a used car for sale in Indiana but are not sure where to start your search? Are you trying to find new and used car dealerships near me with many used cars for sale? If so, then you need to head to your local Indiana used car dealerships near me of Acra Automotive Group and see one of the many used cars for sale. Acra Automotive Group is known for having a large and diverse selection of used cars for sale. Here at the new and used car dealerships near me in Columbus, Greensburg, and Shelbyville, we have everything from everything from an Acura TLX V6 Tech used car to a Volvo XC60 AWD T5 Premier used car for sale to choose from at Acra Automotive Group. Here at Acra Auto Group, understand that finding a vehicle that fits both your wants and your needs can seem like a never-ending process. Which is why we have a team of friendly and knowledgeable people who are happy to answer any questions you may have about one of the many used cars for sale. Here at Acra Auto Group, we want you to drive away from the new and used car dealerships near me located in Columbus, Greensburg, and Shelbyville with a smile on your face. We are proud to serve the Columbus, Greensburg, Shelbyville and the neighboring communities of Indianapolis, Hope, and Franklin, IN areas with a great selection of used cars for sale near me. We welcome you to view our online inventory of used cars for sale that you can quickly search by make, model, and price or come to see them in person at your nearby Acra Automotive Group in Columbus, Greensburg, or Shelbyville. If you are checking used car dealerships near me for used cars under $5000, then Acra Automotive Group is the auto dealers for you. The used cars under $5000 that you will find here are available in many makes, models, and styles, so we are sure to have the perfect used cars under $5000 that suits your wants as well as your needs in a vehicle. 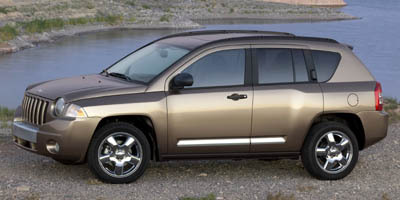 One of the used cars under $5000 is versatile Jeep Compass. This Jeep comes nicely equipped with a four-wheel drive drivetrain, heated seats, steering wheel audio controls, and leather seating. Not to mention that this vehicle is not only cheap to buy, it is also reasonable to own because it gets an incredible MPG of 25 miles per gallon in the city and 29 miles per gallon on the highway. Come and take this awesome Jeep for a test drive down the streets of today. We want to develop long-term relationships with our customers no matter which type of vehicle you buy from Acra. We believe that the relationship doesn’t end at you driving home in your next car, it is just the beginning. We offer vehicle service at Acra Automotive Group at our new and used car dealerships throughout Indiana. Find out why we are the only Columbus, Greensburg, and Shelbyville, Indiana new and used car dealerships you need for all of your vehicles needs. Give us a call today to schedule an appointment for a test drive. Whether it is used cars under $5000 that you are interested in or another one of our used cars for sale, we have the perfect vehicle for you at the dealerships near you of Acra Automotive Group. You can contact Acra Chrysler Dodge Ram Jeep at 888-604-2722 or come to 1407 North Lincoln Street in Greensburg, Indiana 47240. Acra Pre-Owned Superstore in Columbus can be reached by calling 888-356-2272 or visit us at 2820 North National Road, Columbus, Indiana 47201. Acra BuyRite Auto can be reached by calling 877-925-2272 or visit us at 920 North Michigan Avenue, Greensburg, Indiana 47240. Our Shelbyville used car dealership is an Acra Pre-Owned SuperStore and can be reached at 888-318-2272. Or, feel free to stop in at 1200 East State Road 44, Shelbyville, Indiana 46176.